Revel in unrivaled beauty and prestige with the sophisticated Michele® Deco Diamond Two-Tone Stainless Steel Watch. 18K yellow gold-plated case and interchangeable seven-link bracelet with stainless steel accents. 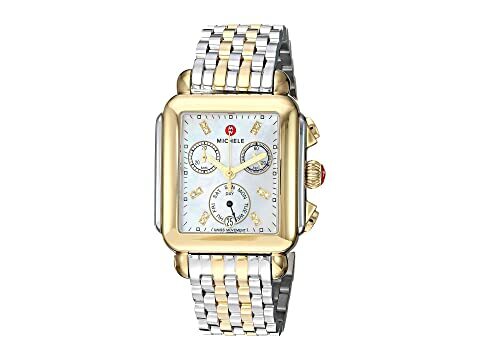 We can't currently find any similar items for the Deco Diamond Two-Tone Stainless Steel Watch by Michele. Sorry!